Before you scroll down, and take a look at the visual diary of our video making. I’d like to start of with a little trip down memory lane. I know a lot of you guys have grown up with me, from the time I started on Tumblr at the age 15, to my first ever attempt at blogging - under the name of “Parfasseux”, to my slight cyber hiatus at age 19 (the time I moved and interned in New York City). To now - content creating full time, and working for myself. To say the least, this space has given me endless opportunities in work, and travel - it has been a place that has marked some of my most transformative moments, in my career and in my personal life. A space that has pushed myself to express and create in ways I never thought I would be able to. It is with such gratitude that I share with you guys, my first video I got to produce, style, creative direct and star in - for a client I’ve worked with for the last 3 years. VAMFF - thank you so incredibly much for putting your utmost trust in me, especially at a time I didn’t. To Mercedes Benz for transporting us, to Visit Melbourne for being so hospitable, to VAMFF for putting all your faith in me, and to Cinema Thom, Audrey, Katie for executing it all! So proud to share with you our video - that we shot in Melbourne, through the storm, and through torrential rain. Started the day off at The Sister Studio’s Factory. This is where their experiments, ideas, patterns and deliveries all come to life. Stopped off at KONG in Richmond for Korean Fried Chicken Wings - this place is truly my first stop, whenever I’m North. It’s my absolute guilty pleasure. We don’t seem to have a Korean restaurant similar to this in Sydney… and if we do - can someone please share? 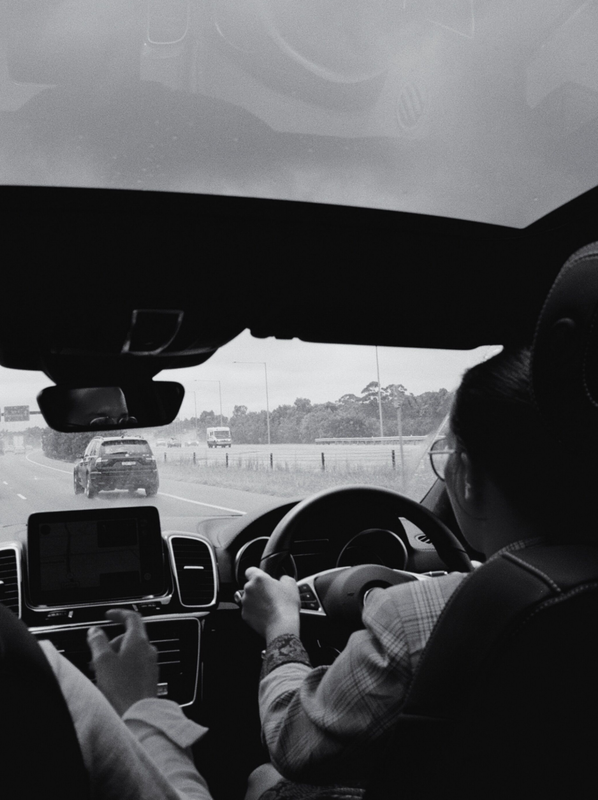 We took some for the road trip ahead, in our ride thanks to Mercedes Benz Australia. Our first stop in the Mornington Peninsula; The Jackalope Hotel. A favorite destination of mine, and a must see for anyone driving down the Mornington. They have their own Winery “Rare Hare”, where the fire blazes over a rainy afternoon - or opens up to a view of their vivid Vineyard. Not to mention the incredible interior and exterior of the hotel. Filled with art installations that welcome you from the minute you drive in, from Emily Floyd’s impressive Jackaloe sculpture to Rick Owen’s infamous Stag Bench. I would spend a long weekend here. Almost a 10 minute drive, up next; is Pt Leo’s Sculpture park. It wasn’t the perfect weather conditions for a stroll in the park, but we managed to run around, umbrella covered, in sequins and gowns - so that was an A+ for trying. A HUGE THANK YOU TO VISIT MELBOURNE FOR ORGANIZING OUR VISITATIONS & FOR BEING SO HOSPITABLE, OUR WHOLE WAY THROUGH.